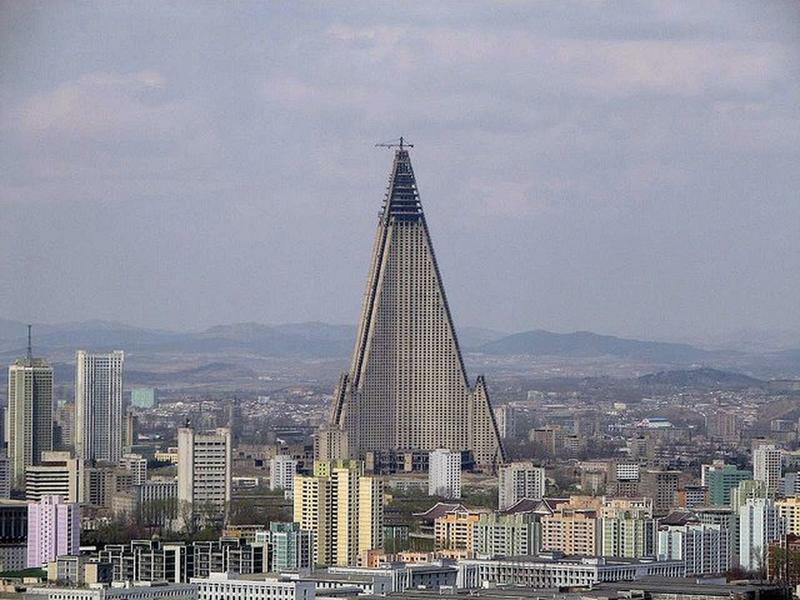 With its 105 floors, Ryugyong Hotel, was to be the tallest hotel in the world. 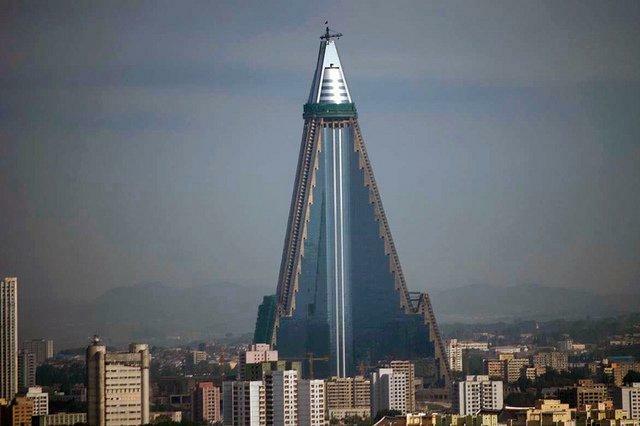 But the skyscraper was never completed and opened. Construction began in the Cold War era in 1987 as a response of the wave of high-rise development that engulfed western Europe and Asia. 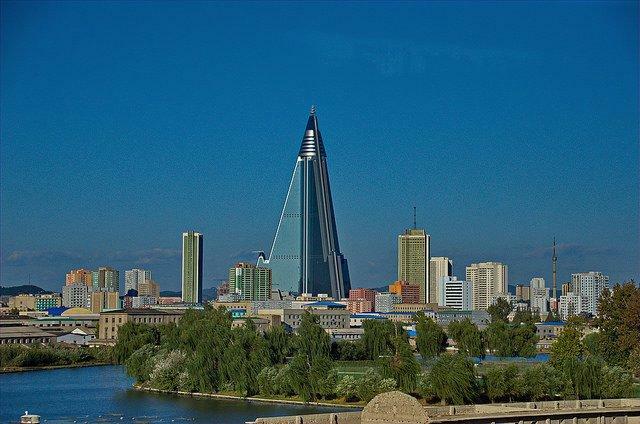 This was North Korea’s attempt to start communicating with the Western world as the master plan was to attract foreign investors, mostly from western Europe and US into the Korean market. The original opening date was scheduled for June 1989, on the opening day of the 13th World Festival of Youth and Students. What a better way to turn a new page if not through the new generations. However, problems arose right from the beginning as the pyramid design of the building proved challenging. Materials were the second big problem that delayed the skyscraper. Eventually, the construction came to a halt in 1992. Since then the building was risen fully from the ground, topped up, but lacking windows and with a completely empty interior. To this day, a lot of critics and architects,call the hotel ugly. 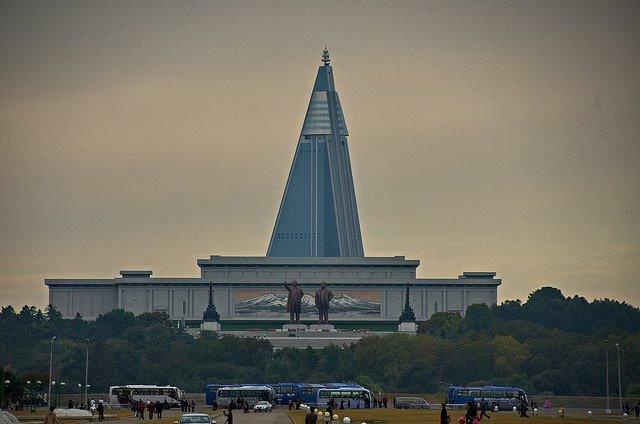 Construction on the Ryugyong Hotel resumed in 2008 and by 2011 the exterior has been fully completed. 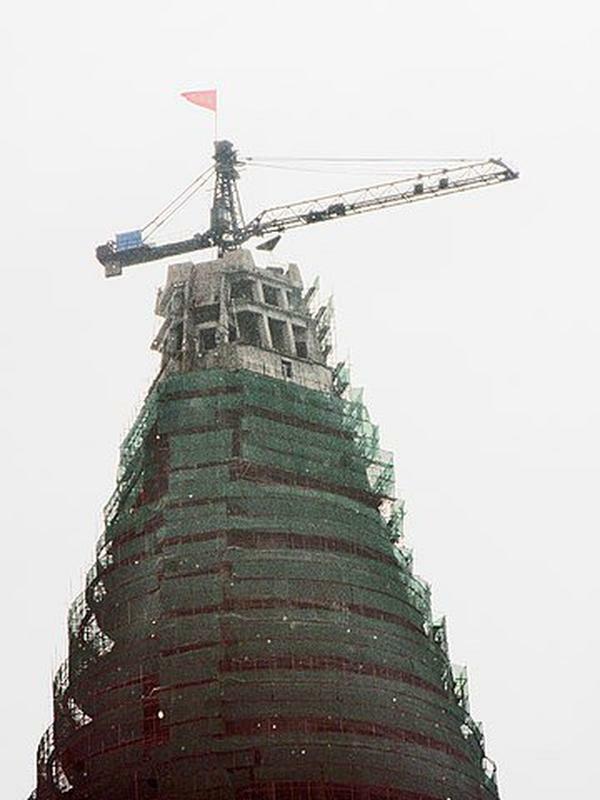 The work consisted mostly of resolving previous problems with construction of the revolving restaurant at the top and salvaging neglected steel exposed for many years. By 2012 photographs of the interior were released for the public, showing fixtures and furnishing of the hotel halls. In the last five years alone, several dates for the official opening were partially announced and cancelled. The hotel remains the tallest unfinished building in the world to date. 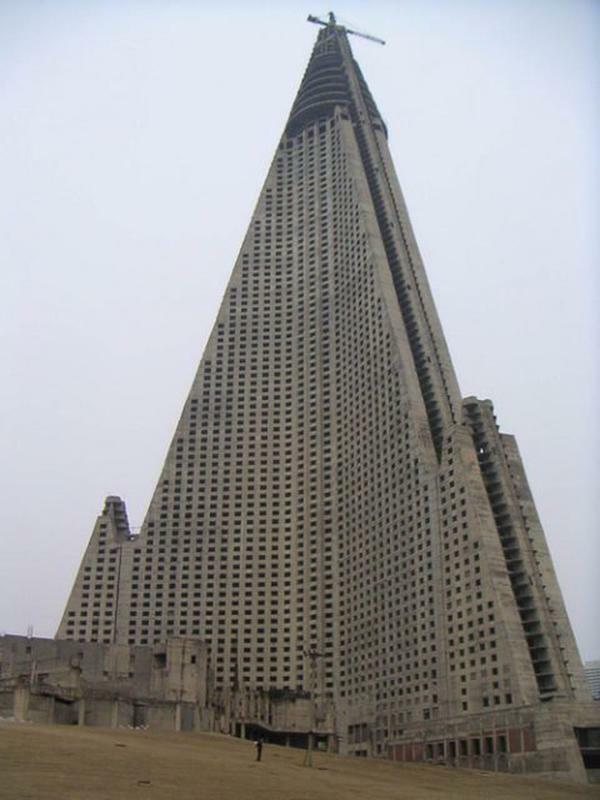 Ryugyong Hotel almost fully covered with glass plates / photo taken on 2009.